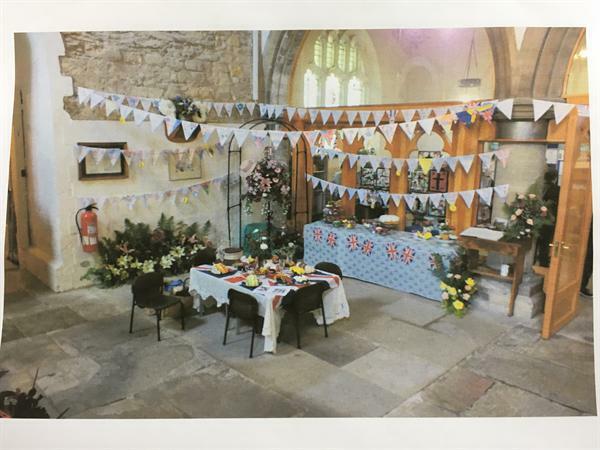 St. Oswald's church asked us to design some bunting for the Queen's 90th Birthday celebrations at the church, as part of their Flower Festival. 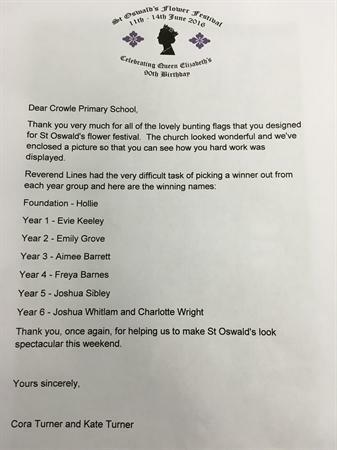 Our children were keen to take part in this and completed them as homework, showing much imagination, creativity and art skill. 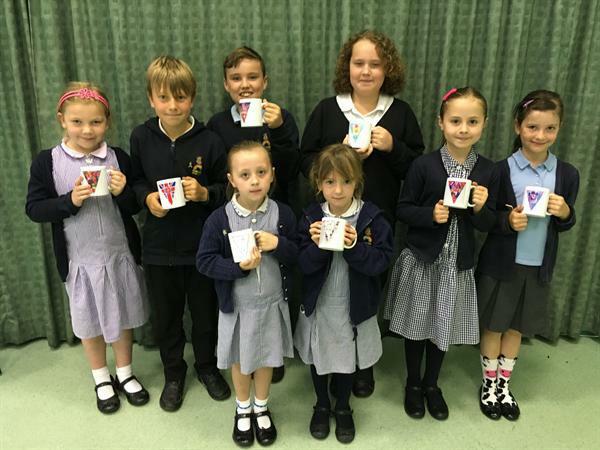 We were absolutely delighted to receive a large box of mugs for the winners. The mugs were just beautiful, and the people from the church has spent much time having each winners design put on the mug along with their name and details of the commemoration. The winning designs were outstanding, including collages, corgis and crowns. We were so proud of the winners and they all got the biggest round of applause I have ever heard from the school. Well done.